We are dedicated to helping you determine your true financial responsibility in a loss that involves electronic equipment. Our services are for both professional and consumer electronic users. Is the equipment really damaged? Did the loss really occur as stated? Is the insured's vendor telling or "stretching" the truth? Can the item be repaired or restored instead of replaced? What is the closest LikeKindQuality(LKQ) replacement? Do the repair/replacement invoices include time or items that aren't related to the loss? The vendor said they can't find the same item anymore and must upgrade to the newest model. Is this true? ONTECH FORCE can get these answers for you! We can help you with: smoke, water, lightning and fire damage; equipment restoration; salvage; electronic restoration; questionable claims and more! While conventional wisdom may hold that the electronics are ruined, ONTECH FORCE's experts can often clean and restore them to pre-loss condition! Incredibly, cleaning and restoration costs for many of these items represent just 20 to 40 percent of the replacement cost. Thus, significant savings can be generated through restoring the item versus replacing it. ONTECH FORCE is so sure of our electronics restoration efforts that we even reinstate the remainder of the manufacturer's warranty after a successful electronic restoration project. 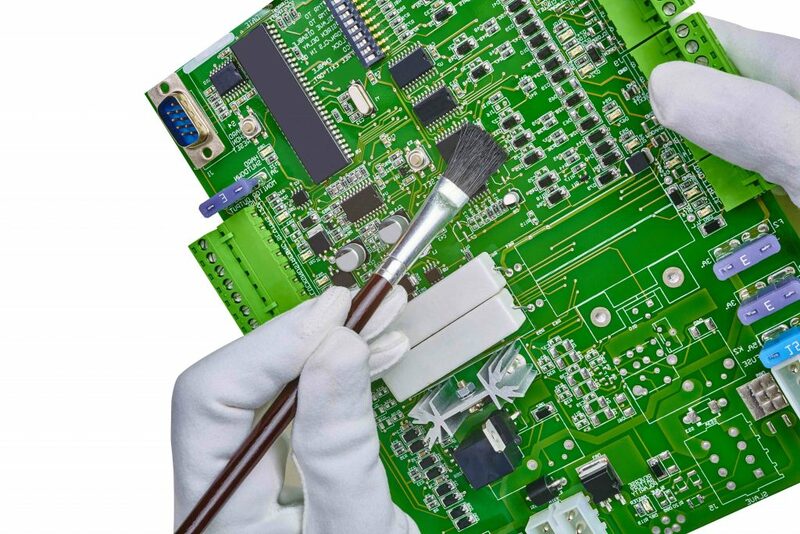 Electronics are partially disassembled to allow cleaning access to circuit boards. Batteries and hard drives are removed. Pressurized, filtered air is used to gently dislodge loose contaminants. De-ionized water, cleaners and surfactants are applied. Pressurized air is used to gently remove much of the excess moisture. Items are thoroughly dried in a warm, low-humidity chamber. Items are reassembled and tested. ONTECH FORCE maintains detailed records through this entire process, allowing us to coordinate any claimed losses with insurance professionals. Get Your Electronic Equipment Repaired For Much Less Than Buying New.